Since we began in the 1950’s, Lensmen has photographed hundreds of important moments in Irish history, and it is fun to see how frequently current day events are reflected in our archives. 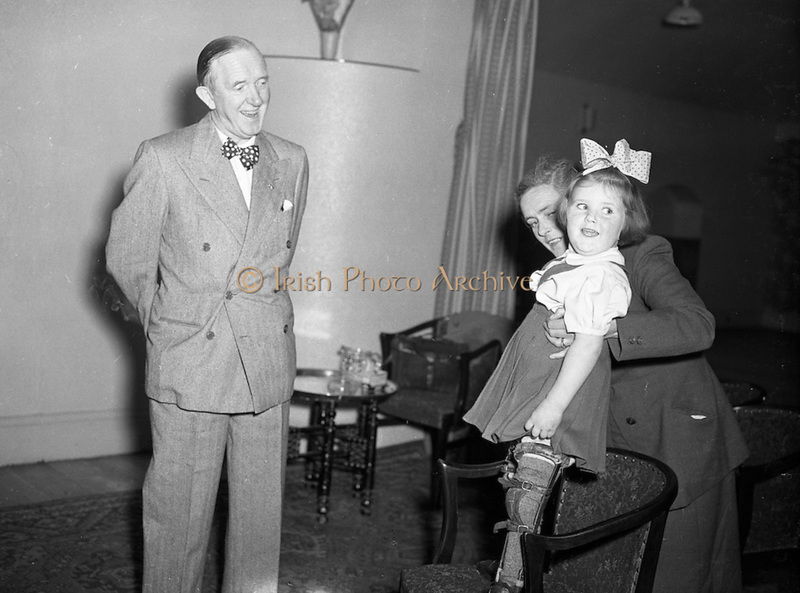 Soon to have a movie realised about the comedic duo, Lensmen Pr Photographers met the famous Laurel and Hardy during their visit to Ireland in the 1950s. The new film Stan & Ollie, which tells the story of Laurel and Hardy’s tour through Ireland and Britain in 1953-1954, reminded us of a special moment that Lensmen photographers captured. At the time, there weren’t many comedians traveling through Ireland, so it was a big deal to fans throughout Ireland to have an opportunity to see their favorite comedians in person. Laurel and Hardy arrived in Cobh on 9 September 1953 to a very warm Irish welcome. A few days later, the pair helped make a charitable contribution during their month-long stay in Dublin. After allowing their name to be used by a local tailor, Laurel and Hardy agreed to donate their proceeds to a local charity. 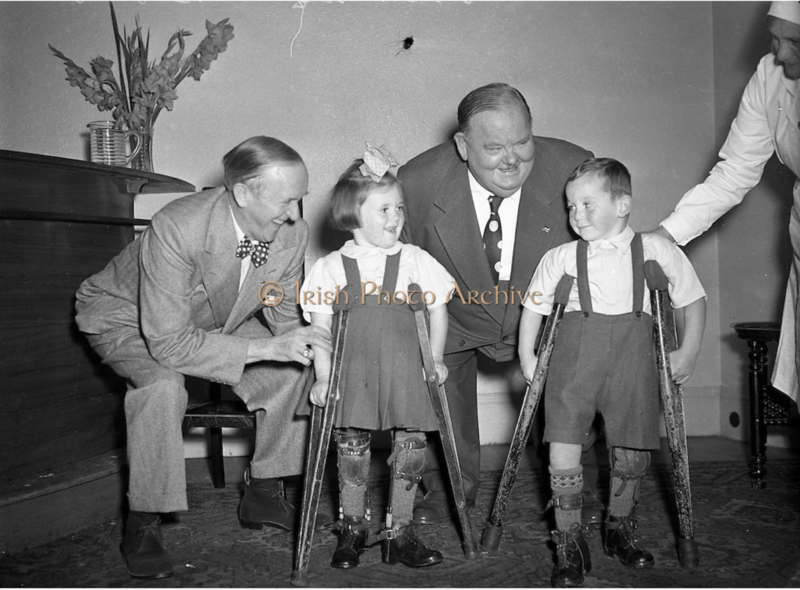 On 22 September, 1953, the comedians appeared at an event to donate the money to the Willie Nolan Centre, an organization helping children with polio. We found two pictures in our archives showing this unique part of the very popular comedians’ visit to Ireland. Our archive of over 4 million photographs stretches over 65 years of Irish History. We have scanned over 40,00 negatives which can be seen on our sister site, Irish Photo Archive. Please call us at 01 8197738 to speak with us about our public relations and event photography. services.